Remote wireless sensors detect specific events at the place where they occur and talk directly to the camera to produce an alert. Unlike cameras with a built-in motion sensor, wireless sensors give you a choice where to place the camera for the best viewing angle and out of harm’s way. In this video, the camera was installed high on a lamp post across a busy road from the gate. The passing car traffic was ignored by the camera, but any movements of the gate itself triggered an immediate alert. All our sensors communicate with the camera via a direct radio link from up to 100m away. You can use multiple sensors to monitor a large open area with just one camera. Designed and manufactured for outdoor applications, our wireless sensors have no problem with rain, dust or UV, even in harsh industrial environments. A standard Li-Ion battery lasts for many months, even years. The camera will remind you if the battery runs low and needs replacing. Most of our wireless sensors can be reconfigured, adjusted or disabled remotely by you or your support technician via an online dashboard. 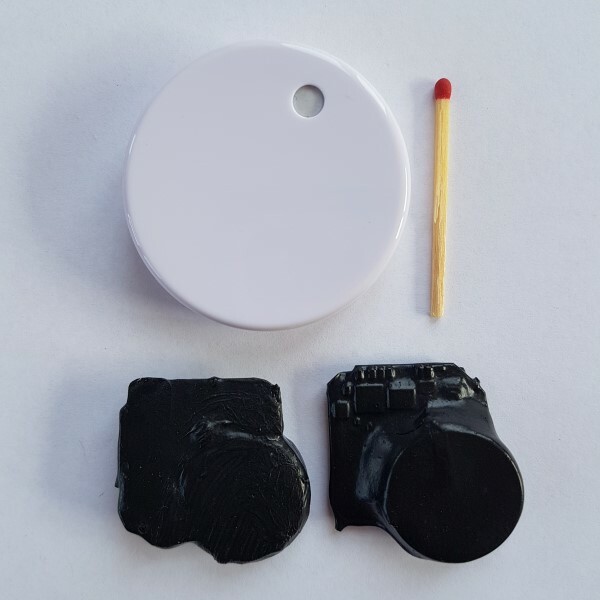 Wireless sensors can be easily hidden inside everyday objects you wouldn’t normally pay any attention to, be it a discarded plastic bottle or a piece of tape on a wire fence. Every sensor is a small sealed unit. Attach it using a small piece of double-sided tape or wrap it with a length of duck tape. 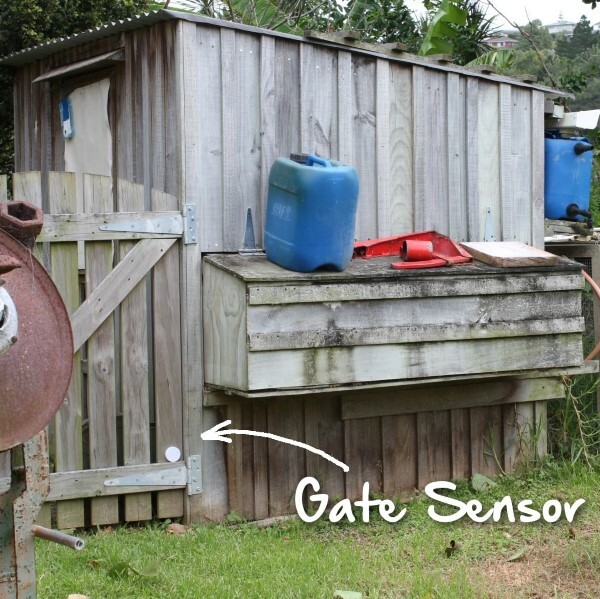 A small wireless vibration sensor attached to a gate or a fence will trigger if someone tries to open or jump over it, but will ignore anyone just walking past. A heat-sensing PIR motion detector similar to those used in home alarms and garden lights will trigger if a human, an animal or a vehicle moves past. They are most reliable at night time. An invisible laser beam sensor can be placed at both sides of the driveway and trigger when someone passes through. They work best away from direct sunlight. Wireless pressure pads placed right near the wall will trigger if someone gets too close, as taggers do. The pads can be placed under mulch or a weedmat. A special hose, similar to the one used in pneumatic traffic counters, can be stretched across a low speed, low traffic road to trigger every time a vehicle passes over. A small wireless sensor attached to your quad bike or a generator will trigger from the vibration when someone starts moving it or fires up the engine.